Crazy kinds of candy are available at the Easton IT’SUGAR. Big Walnut Schools says Sambuca’s Green House is now hiring for Spring and Summer Work. Interested applicants should pick up an application at Sambuca’s Greenhouse, 577 Walnut Street, Galena, 43021. Columbus Navigator had an interesting article called “8 Wonderful Independent Book Stores In Columbus” https://www.columbusnavigator.com/independent-book-stores-columbus/ by Chelsea Wiley. Those 8 are: The Book Loft (German Village); Cover to Cover (Clintonville); Village Book Shop (Linworth); Fundamentals (Delaware); Gramercy Books (Bexley); Read It Again Books (Grove City); Karen Wickliff Books (North High Street); Two Dollar Radio (Parsons Avenue). Check them out. The Home Depot said it was hiring 600 employees in Columbus this spring, and 80,000 nationwide. The company said it takes 15 minutes to apply at careers.homedepot.com (and you have to apply online). 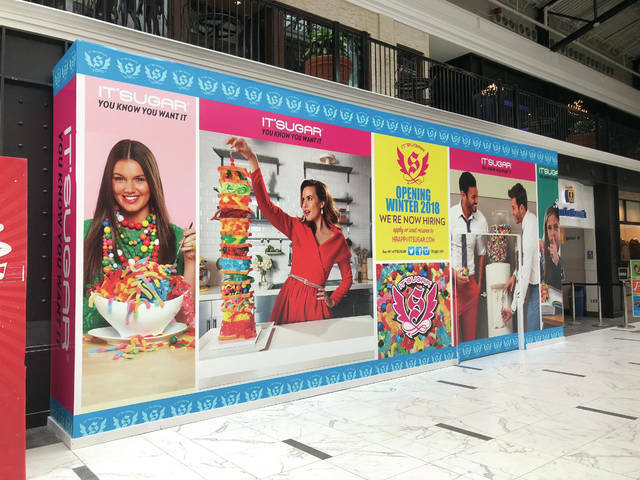 IT’SUGAR, which calls itself “the largest specialty candy retailer in the world,” recently opened at 160 Easton Town Center. The store offers unique products, such as 5 LB gummy bears, The World’s Largest Box of Nerds, XXL Hershey’s Vending Box, and a line of Saturday Night Live Candy. For more information, please visit www.itsugar.com. The Mount Vernon News reports the JCPenney store in Knox Village Square will close by mid-May. The store is currently liquidating. The Renaissance Westerville-Polaris Hotel will open April 26 at 409 Altair Parkway, Westerville. The eight-story Marriott property has 222 rooms and event space for 750 people. They held a job fair earlier this year at the Everal Barn in Westerville. Secretary of State Jon Husted recently announced a Uniform Commercial Code Watchlist to curb fraudulent business filings. Husted’s office said in a statement, “the new service is expected to curb instances when fraudulent UCC filings are submitted by disgruntled customers or individuals. These types of filings can negatively impact a person’s credit history, personal finances and often require a substantial amount of time and resources to resolve in court. Fraudulent filings can also mischaracterize good-standing companies, putting their assets at risk and pulling their focus and energy away from growing their business.” The UCC Filing Portal can be accessed by visiting Ohio Business Central. Were you a Toys R Us kid? No doubt you’ve heard about the store closings. The New Jersey-based chain, which was operating under bankruptcy, was hit hard by the online shopping trend. Many people have said they do price comparisons online. Custom home builder Wayne Homes announced the construction of the company’s newest model, the Cedar Hill Homestead, at their Delaware Model Center in Sunbury. You’ve probably seen it being built as you drive along routes 36/37 (Sunbury Road). Wayne had a “Muddy Boots” event last month where people could view the home in construction. The tree-bedroom, two-story home is 2,100 square feet. “Arrangements for the model’s grand opening are being made and will be announced later this spring,” the company said in a press release. According to Columbus Business First, the Grandview Heights-based Bravo Brio Restaurant Group Inc. is being acquired for $100 million by GP Investments Ltd., a Swiss private equity firm. The company’s headquarters will stay put, and continue to run independently. Bravo Brio has 110 restaurants in 32 states, including Bon Vie Bistro at Easton Town Center. Only in Ohio recently posted about the Ringside Cafe, 19 North Pearl Street, Columbus. Sonya Afanasyeva writes, “The Ringside Cafe is the oldest restaurant that has been operating under the same name in Columbus. This boxing-themes burger joint located right in the center of downtown offers a fun, cozy, and delicious nook to hide from the hustle and bustle of the city and have a truly mind-blowing dinner.” Ringside opened in 1837 and had some renovation in 2008. Only in Your State also praised The Scioto Ribber steakhouse in Portsmouth, recommending pairing it with a Portsmouth Brewing Co. craft beer and creamy coleslaw. https://www.sunburynews.com/wp-content/uploads/sites/48/2018/04/web1_IT-SUGAR-Easton-Store.jpgCrazy kinds of candy are available at the Easton IT’SUGAR. 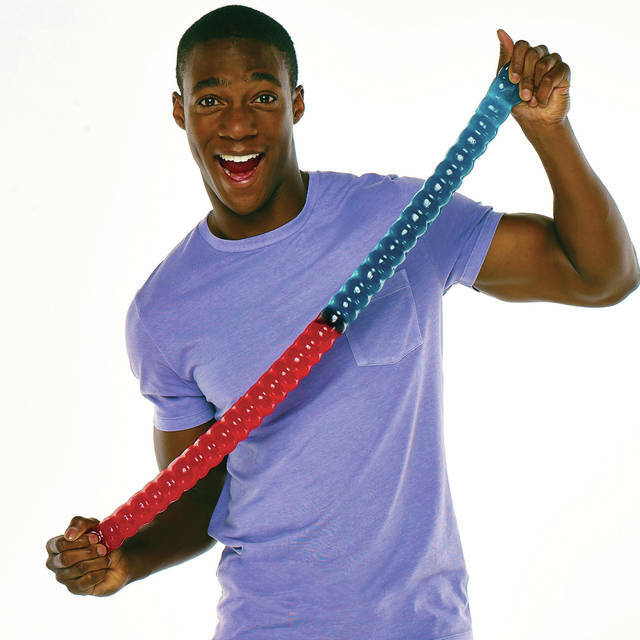 https://www.sunburynews.com/wp-content/uploads/sites/48/2018/04/web1_giant_gummy_worm-IT-SUGAR.jpgCrazy kinds of candy are available at the Easton IT’SUGAR. 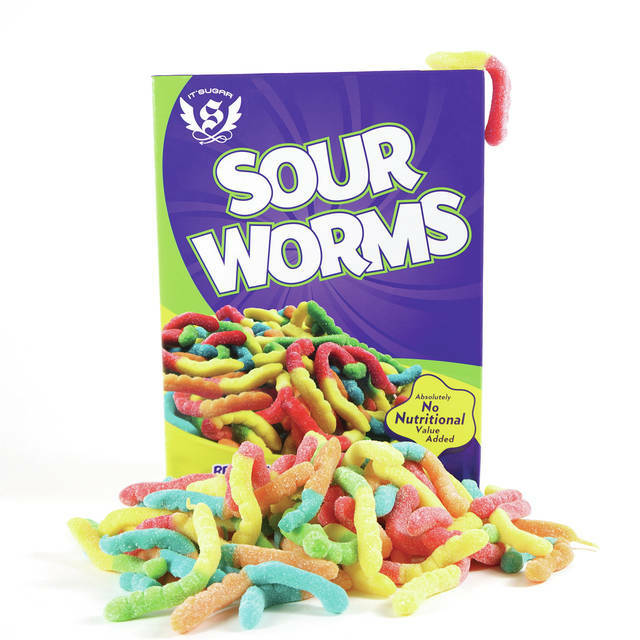 https://www.sunburynews.com/wp-content/uploads/sites/48/2018/04/web1_perfect_size_sour_worms_IT-SUGAR.jpgCrazy kinds of candy are available at the Easton IT’SUGAR. Feel free to send any business news to Gary Budzak at the email above. When we get enough items, we’ll post them in a future edition of The Sunbury News.